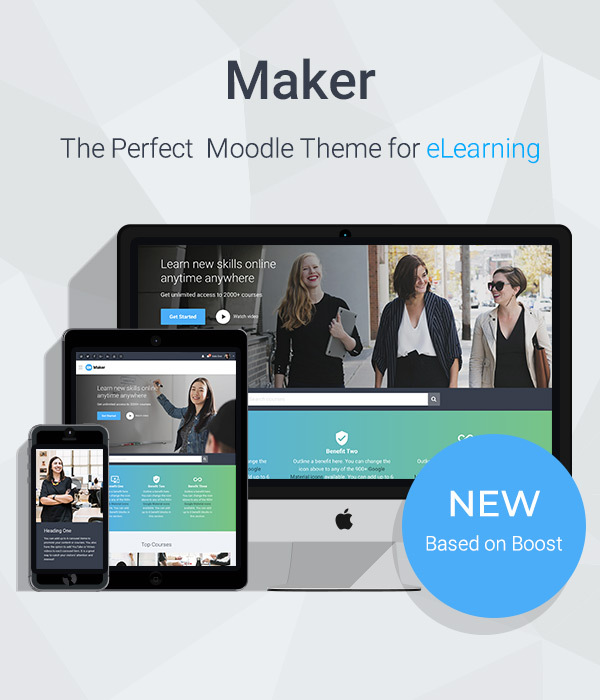 Want to make the signup/login process of your Moodle site simple, easy and fast for your users? In Moodle 3.4 you are able to add social login options (eg. Facebook/Google/Linkedin/Microsoft) to your Moodle’s login page. In this tutorial, we will walk you through how to do that. 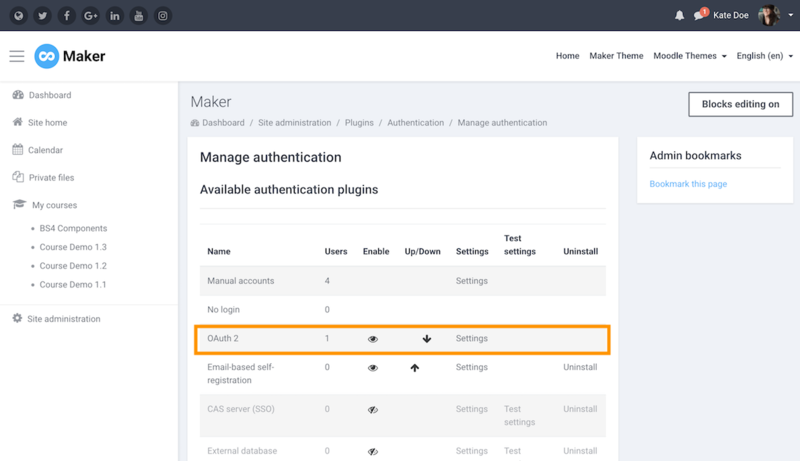 Find the “OAuth 2” option on the page and enable it by clicking the closed-eye icon. 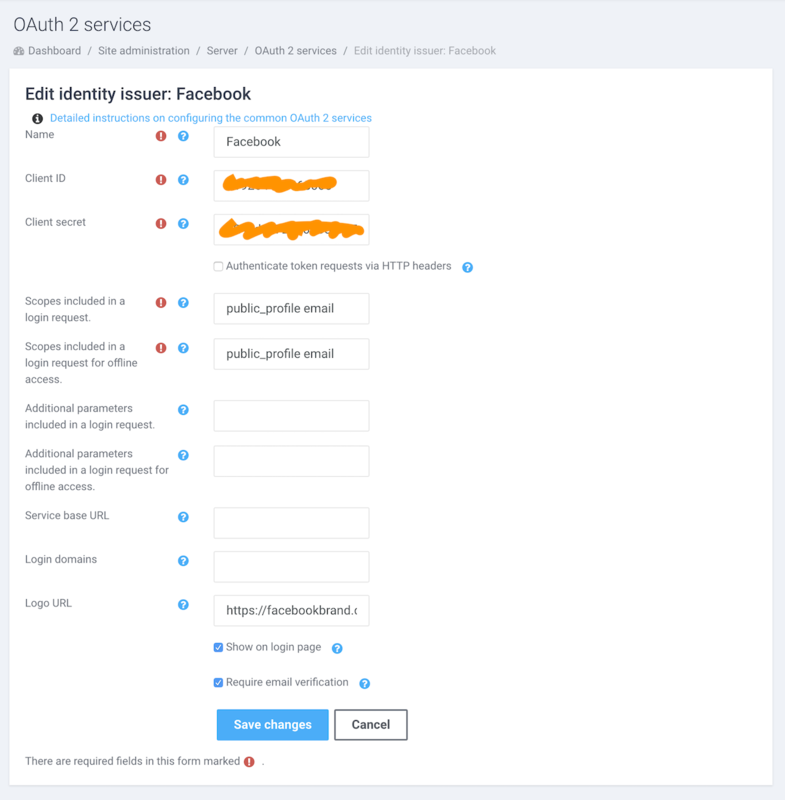 Click the “Create new Facebook service” button and enter your Client ID and Client secret on the settings page as shown in the figure below and save the changes. You can follow the instructions here to obtain your Facebook Client ID and secret. 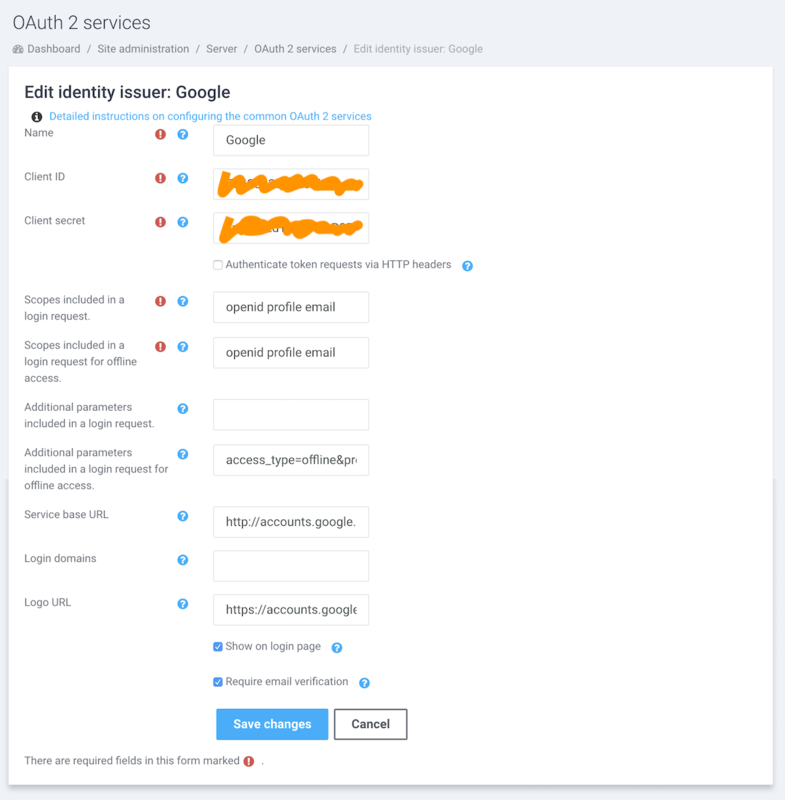 Click the “Create new Google service” button and enter your Client ID and Client secret on the settings page as shown in the figure below and save the changes. You can follow the instructions here to obtain your Google Client ID and secret. Click the “Create new Microsoft service” button and enter your Client ID and Client secret on the settings page as shown in the figure below and save the changes. You can follow the instructions here to obtain your Microsoft Client ID and secret. 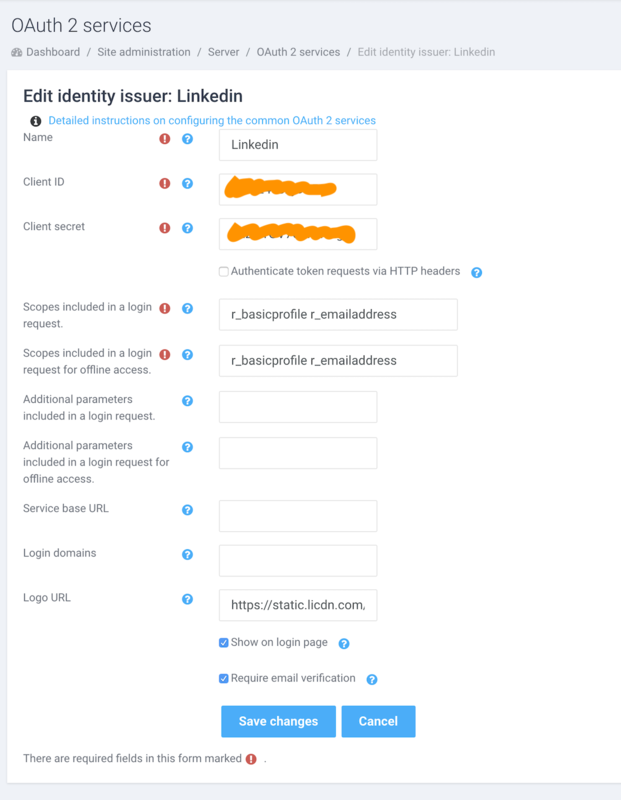 “Linkedin” is not in Moodle’s OAuth 2 service presets so you’ll need to add it as a custom service by clicking the “Create new custom service” button. 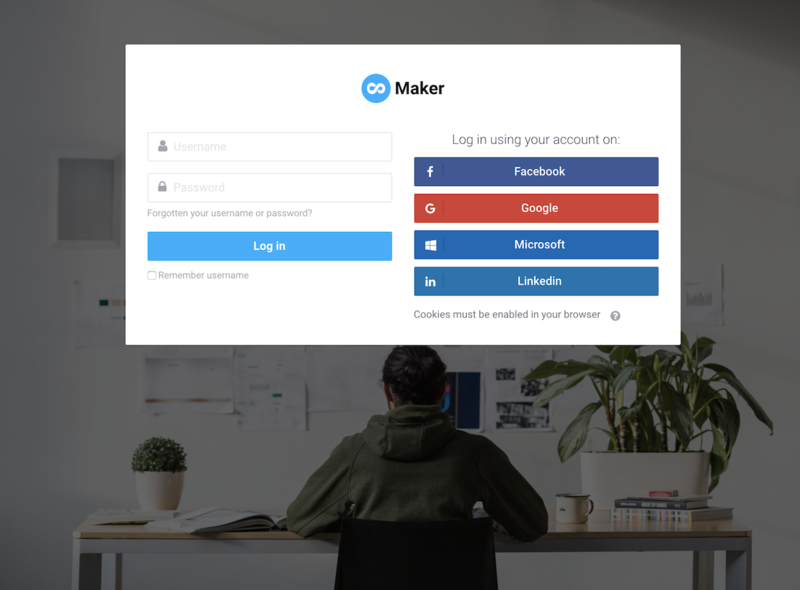 Note: if you are using our Maker theme, you must enter “Linkedin” (with Capital L) in the Name input field so the correct login button design can be applied. You can follow the instructions here to obtain your Linkedin Client ID and secret. Also you might find Linkedin’s doc quite helpful too. 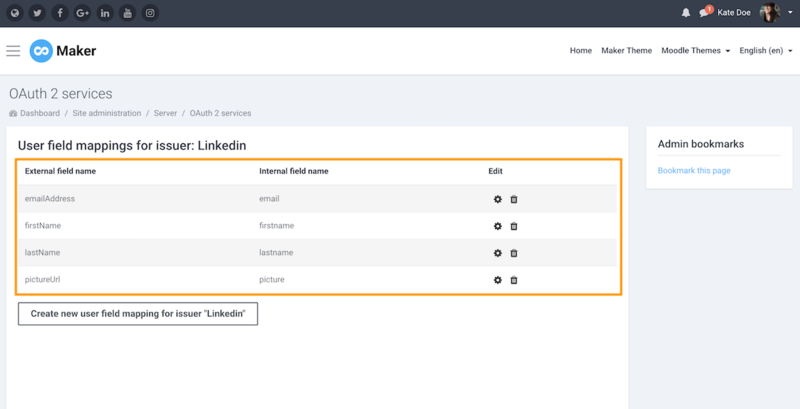 Once you’ve added Linkedin to the Oauth 2 service list, you’ll need to configure its end points and user field mapping as shown in the figure below. That’s it. Now your site users should be able to log into your site using their existing social media accounts without going through the long signup form.